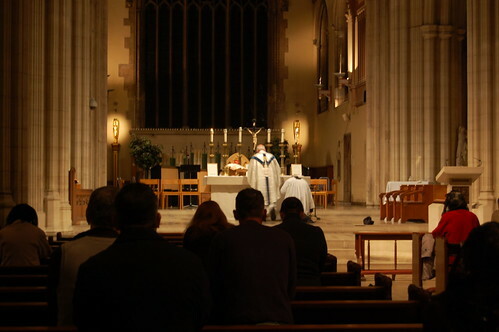 While the Juventutem London group were gathering for a Solemn Mass in Corpus Christi Maiden Lane, Mass was being offered in the Extraordinary Form in St George's Cathedral, Southwark, the Cathedral of Archbishop Peter Smith (unusually, there is an Anglican diocese with the same name - Southwark). It was celebrated by Fr Anthony Logan of that diocese, and was attended by 40 lay people and a number of members of the Cathedral staff, including Canon Cronin. The Cathedral is an imposing building with some fine features: here is the lovely Knill Chantry. 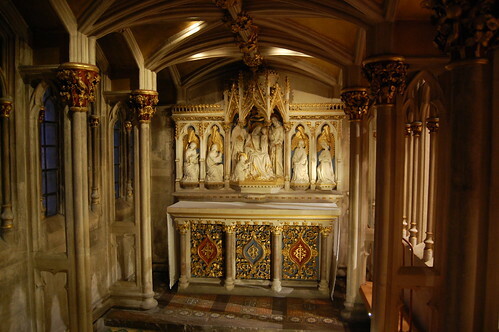 We were privileged to use to the High Altar. There is a full report on the Southwark North blog here, and a set of photographs here.